Can Blogger still challenge the likes of Wordpress for the top blog editor? Back in the day, Blogger was the ubiquitous leader among hosted journal services. It looks a little tired now though, especially next to the sleek Wordpress. We put that down to two things. The first is a tortuously slow development cycle. 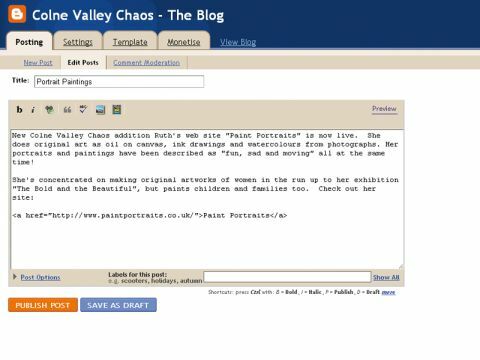 Blogger looks almost the same now as it looked in 2004, when Google relaunched the platform. The second is that, in an attempt to make it easier to use, Google has made Blogger more difficult to hack around with, giving it much less of a development ecosystem to make use of. Still, Blogger remains one of the most complete of the free systems for hosting blogs and news sites on the net. Unlike Wordpress.com or Vox, you can get to the raw layout code and edit it manually – meaning that you can have any layout you like. There's built-in support for domain mapping on Google's free Blogspot hosting service, or you can publish static pages direct to your own server if you prefer. Static pages make it slow to update sites – but Blogger's powerful and free features make it a perennial contender.